In honor of Halloween, we decided to dig into the archives and pull out some appropriate articles. One cabinet manufacturer out in Northern Colorado is making an effort to give back to their community. 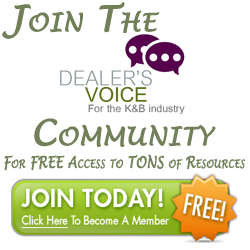 The Consumer’s Voice Goes Live! CompanionCabinet launched The Consumer’s Voice in 2010, a free education resource designed to guide homeowners through the challenging process of kitchen and bath remodeling.